It’s been said many times, perhaps most poetically by Joni Mitchell. It’s a cliche now, but it’s usually true. You often don’t know what you’ve got until it’s gone. While that might not be exactly true of the global Kop and their relationship with our former number eight; the sight of him being presented to a capacity crowd of Los Angelinos yesterday certainly rammed home the point. The Gerrard shaped hole in our midfield will take some filling, but at Anfield we have been here many times before. As I sat watching the various clips and reading reports of Stevie’s inauguration across the pond, my mind drifted back to the many greats who have left us wanting more down the years. It’s a mark of how blessed we are as fans to have watched so many true heroes wear the famous Red or grace the Anfield dugout. It’s a testament to their talent that each of them left us heartbroken when they left. Here are my most memorable from 1970-1990. I was 7 when Shanks left Liverpool. In all honestly I don’t remember the now famous Tony Wilson vox-pops on the streets of Liverpool, when he broke the news and the hearts of an adoring public, announcing that the great man had retired. Of course I have watched them countless times since and they always bring a tear to my eye. How utterly irreplaceable he must have seemed back then. How hollow and crushed must the people who worshipped him have felt in 1974. Obviously Liverpool were able to replace Shankly. They did so by appointing a man who would go on to become the most successful English manager of all time; but they could never replace his charisma, wit or the connection he had with the supporters. I was too young to feel the impact back then, but it’s a mark of how big a loss it was that many of us still feel it today. I regard it as a great shame that Keegan isn’t held in the same regard as other Anfield greats by Liverpool fans. To the younger generations of The Kop he is probably seen as a Newcastle legend, but not to me. 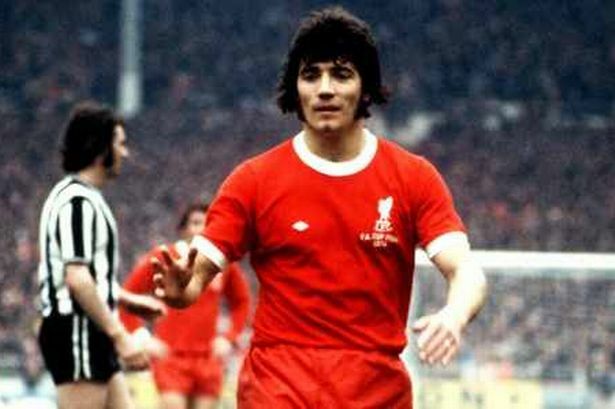 Forget George Best, Kevin Keegan was the first football superstar. As a kid growing up it felt like he was never off the telly. Maybe that’s not a good thing, but he contributed massively to the mystique surrounding both the club and the city for me. As a young Scouser there was evidence all around me that my city and the team I supported was special. Liverpool had given birth to the greatest band of all time, the Prime Minister, Harold Wilson, represented the Huyton constituency (birthplace of Steven Gerrard), we had Bill Shankly, the best football team in the world and Kevin Keegan. It was paradise. Keegan won two UEFA Cups and a European Cup. He won the FA Cup and League Titles. He scored spectacular goals and he had the crowd on their feet every time he burst into the box. They said his partnership with Toshack was telepathic. Of course it wasn’t. That would be to insult his talent. Keegan was just a great footballer. I simply couldn’t believe it when I found out he had chosen to leave us for some team in Germany. Hamburg? Who the hell were they? The cynics, my Dad included, said “It’s all about money these days lad”. I was crushed and the sense that the magic was coming to an end felt very real. Shanks had gone, the Beatles had split and we had some fella called Callaghan in number 10. My mate Dave threatened to stop watching football altogether now that Keegan was gone. Fortunately we managed to talk him down off that particular ledge. The arrival of Dalglish from Celtic the following season eventually helped us all move on, but that was one difficult summer. Quite simply the most successful manager in the English game. He was never Knighted, but he didn’t need such a meaningless trinket – he had three European Cups; a feat never bettered. He won those three cups in a glorious period for the club that started in Rome in 1977 and ended in Paris in 1981. 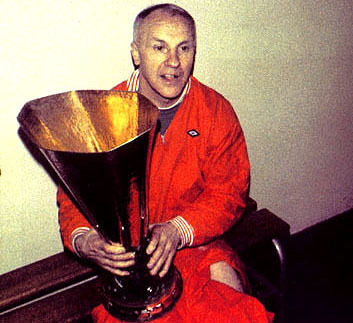 Liverpool were Kings of Europe and we owed it all to Bob. Bob was an Everyman and for me he is summed up best by this quote, “There are those who have made more money in football than me, or who are more famous than me; but none have enjoyed it more than me.” Under Joe Fagan and Kenny Dalglish Liverpool fire smouldered on for the remainder of the eighties. 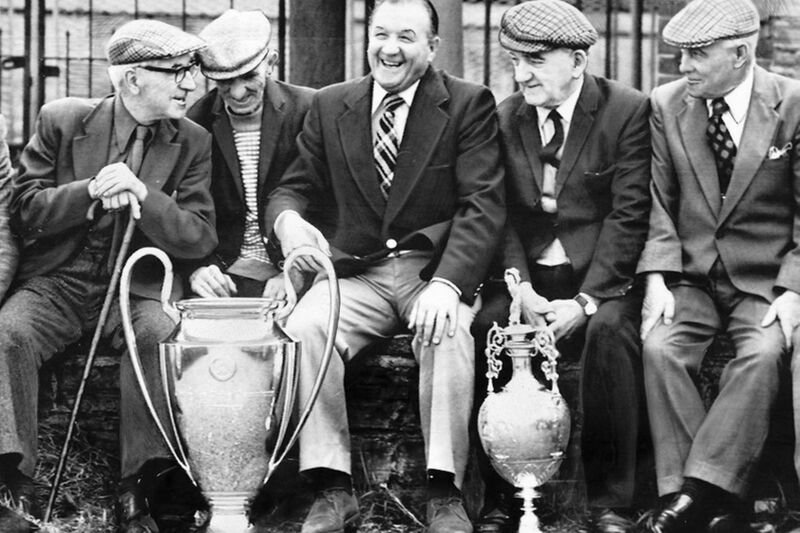 However, the years since have shown that Bob Paisley was truly irreplaceable. We will never see his likes again, but we can dream of what might have been if he had carried on a little longer. For six years Souey was the heartbeat of the Reds midfield. At times he was imperious. Occasionally he was brutal, but he always gave everything in a red shirt. He could create and score goals, but he could also act as the destroyer. He would frequently snuff out the opposition before they could get into their stride. His team-mates nick-named him ‘Champaign Charlie’ and Alan Hansen famously stated that if Souness was chocolate he would eat himself. This was a man in the peak of his powers, a great in the making and he knew it. His arrogance off the pitch drew only friendly fire from his team-mates because they knew t was the rocket fuel that drove him on it. In 1984 we knew he was going. I remember there had been rumours flying around that Europe’s elite were looking at him. There wasn’t the movement between continental clubs that there is now, but Liverpool were huge and the giants of Europe looked on enviously at the talent on display at Anfield. Keegan had already taught us that, while it was unfathomable to us, Liverpool’s greats could definitely be persuaded to go. I remember a game at Anfield in his last season. If it wasn’t his last at home, it will have been one of them. 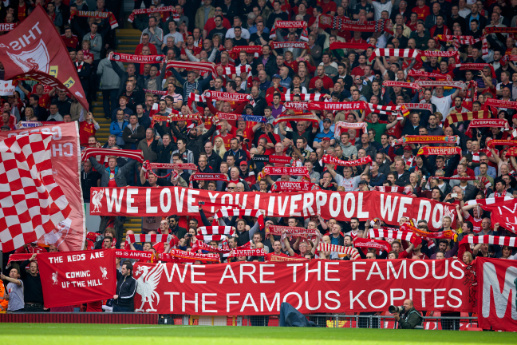 I was on The Kop and I can recall us singing ‘Souness must stay’ throughout the game. Of course he went on to lift the European Cup that season, our fourth and the fifteenth trophy of his Liverpool career, before joining Sampdoria in Italy. 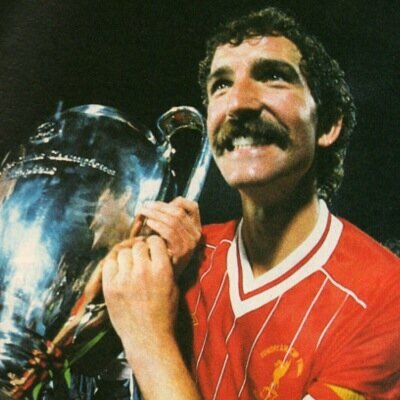 Souness wasn’t a home-grown idol, but he commanded as much respect and admiration from Reds fans. His loss was a bitter pill to swallow. 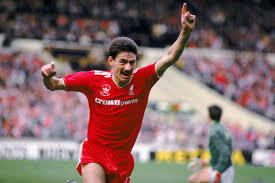 When Ian Rush left for Juventus in 1987 many of us felt we would never find anyone as prolific. Rush’s departure was hard to take, but there was a sense that football politics was at work here. The despair for me was tempered a little by the fact that this was part of the healing process between Liverpool and the Italian giants following the Heysal stadium disaster. These were dark days for the club. Rush had been incredible for Liverpool. When he scored Liverpool didn’t lose (apart from one game I can’t bear to mention). He was to put it quite simply a goal machine, but that doesn’t seem to do him justice. It was the range of goals he scored that set him apart. He could score from all angles, with both feet or his head. He could score on a rainy night in Luton and on the biggest of occasions. He was fast and powerful and his slender frame made his ability to track back, defend and hold the ball up all the more miraculous. I was devastated when Rush left Liverpool. We have never had a striker like him in my lifetime, in terms of sheer cnsidtency over many seasons. Fowler was a great, but his flame flickered all too briefly. Torres and Suarez were equally gifted, but weren’t here long enough to come close enough to Rush’s legend. He scored an incredible 139 goals in 224 appearances for Liverpool during his first spell. Fortunately for us us there was to be a ‘second coming’ and he was back after just one year in Italy to plunder another 90 goals in a further 245 outings. In coping with the loss of Ian Rush Liverpool not only sought to replace his goals, but they actually went for a look alike. He may not have had the pace of Rush or his ability to defend from the front, but Aldridge was the supreme poacher. He plundered an unbelievable 50 goals in just 83 appearances. It is hard to imagine such a tally in the modern game. It is Messi and Ronaldoesque. 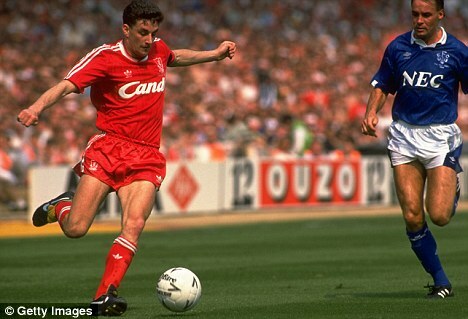 To Kopites of all generations John Aldridge had everything it takes to become an Anfield favourite. He was a Scouser born an bread, he absolutely adored Liverpool football club and he scored goals for fun. Aldo was affected badly following the Hillsborough disaster in 1989. I’ve seen interviews where he talks of thoughts he had about quitting the game. Thankfully he didn’t and he played a key role in getting Liverpool back to an emotional reunion with blue half of the city at Wembley. The Reds, of course went on to win the FA Cup that year. Aldridge never wanted to leave Liverpool and at least on The Kop the feeling was mutual. His last game was one of the most emotional ever at Anfield, with the player throwing his boots, sock, shorts and shirt into the famous terrace he had stood on a child, before running off in is underwear. I still find it hard to decipher why Liverpool could ever contemplate selling such a prolific goalscorer in the peak of his powers, but that’s exactly what we did. Over two decades Liverpool Football Club had delivered unprecedented glory. Silverware poured into the trophy cabinet and the homecoming parades were as regular as Christmas in any Scouse calendar. During that spell we have met and fallen in love with some genuine legends and icons of the game. In my life I have loved them all.